I looks like something new is landing on the corner of Olympic and Sawtelle (11301 W. Olympic Blvd.). 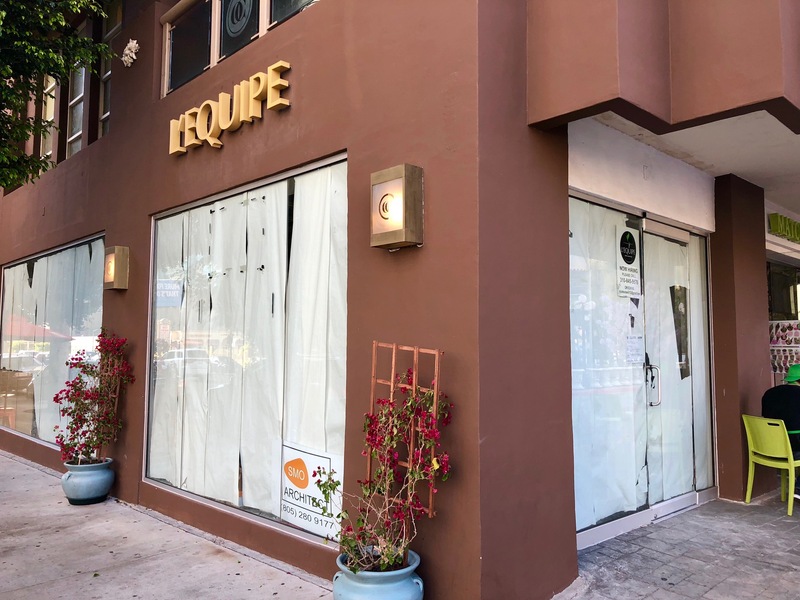 A sign is up announcing that L’Equipe Café & Salad Bar will soon be inhabiting the space. There’s not much information out there on L’Equipe, except a Facebook page that you can check out here.